Photo 1: Warming up our first day at a local crag called Dorenaz, near my home in Villars , Switzerland. 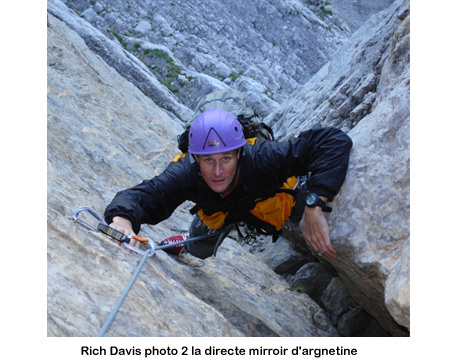 Photo 2: The next day we climbed the Mirroir d’Argentine, a 500 meter limestone face which really reminds you of a “Silvery Mirror”. We climbed “Directe”, a 16 pitch 5.7. It worked up a corner system with one classic chimney pitch before opening up to the face. Photo 3: Once on the face it was smooth going, with the Solalex and the surrounding valley opening up below us. 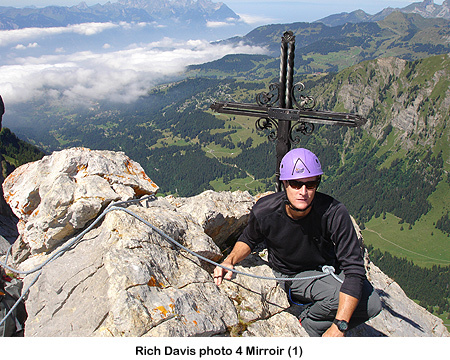 Photo 4: On the Summit of the Mirroir d’Argentine, looking out towards Lake Geneva . We did the two extra pitches that put you directly on the summit called “Dessert” they go at 5.10a. Photo 5: On our way down from the summit we stopped at an Alpage and ate a warm spaghetti Bolognaise. Then we continued the hike back to Solalex, our starting point. 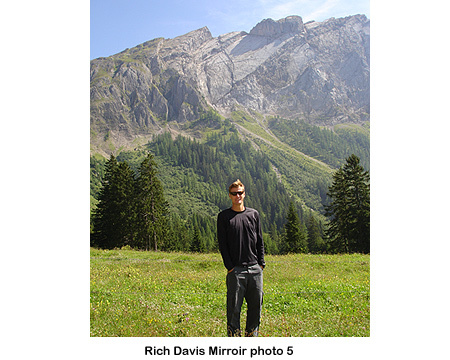 This was near Solalex with Rich posing in front of the Mirroir. 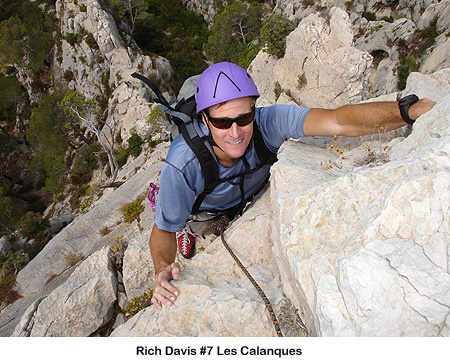 There are many routes on this 500 m. (1500 ft.) face from 5.4 to 5.10 and the climbing is exceptional limestone. 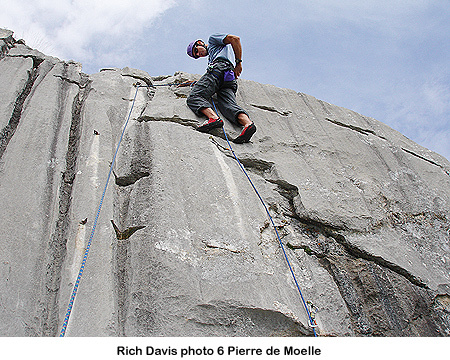 Photo 6: The next day was spent at another local crag, Pierre de Moelle. It is at a little alpine pass 40 minutes from my home. You park at the pass and hike to the crag. Interestingly, at the pass, you can see camouflaged gun turrets built into the rock from WWII days. 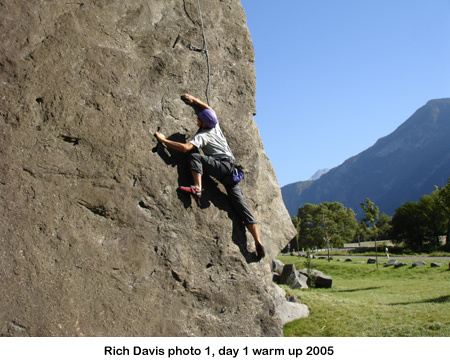 It was the perfect climbing area for Rich to make his first lead climbs. Here, he is “mock leading”, leading on top rope, before the real thing. Rich did great and went on to lead many 5.9’s and 5.10 a’s. Photo 7: We then traveled to southeastern Switzerland where we were completely rained out. 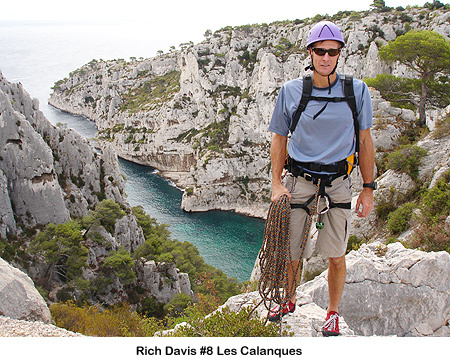 This was the first time this summer that I got rained out, however we made the best of it and spent the rest of our trip in southern France climbing on Limestone of Les Calanques by the beaches of the Mediterranean . 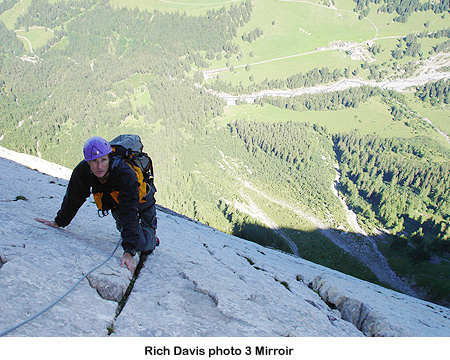 Here Rich negotiates La Saphir, a great 5 pitch warm up climb climb that goes at 5.6. We then climbed, Pouce Integral, a 5 pitch 5.10 a that was first climbed by Gaston Rebuffat in 1939. Photo 8: Our last day was spent at En Vau in Les Calanques. You hike in or take a ferry to get to this remote cove which has excellent climbing and swimming at the beach. The routes described in the last photo caption are in En Vau.